The Monzani MZSL-133Q Bb/F Quarter Valve Tenor Trombone offers the player a high variability of sound. It does not only convince while playing in an orchestra; also in big and brass bands does it convince with a flexible sound projection. Because of the brass body the MZSL-133Q has a rich and powerful sound. The good intonation and an easy attack point guarantee a fast learning process and a high playability. The quarter valve offers to play in Bb or F.
Monzani JBSL 801L Quartventil-Posaune is really a very good value for the money. It is a faith copy of world famous Bach Stradivairus 42BO trombone. This shows as features for this Monzani trombone: Very good balance and easy handling. Very easy and good upper register and very usable middle register. Lower register is a little modest but sounds still good (most trombones acts this way). Valve action is very good and comfortable, slide action could be better especially in positions 5, 6 and 7 (this concerns my trombone and again this is quite typical for most trombones with F-attachment). The mouthpiece is good with size about 61/2 AL. The instrument case is good looking and good and comfortable to use. Relationship for the price and quality for this trombone is extremely good. 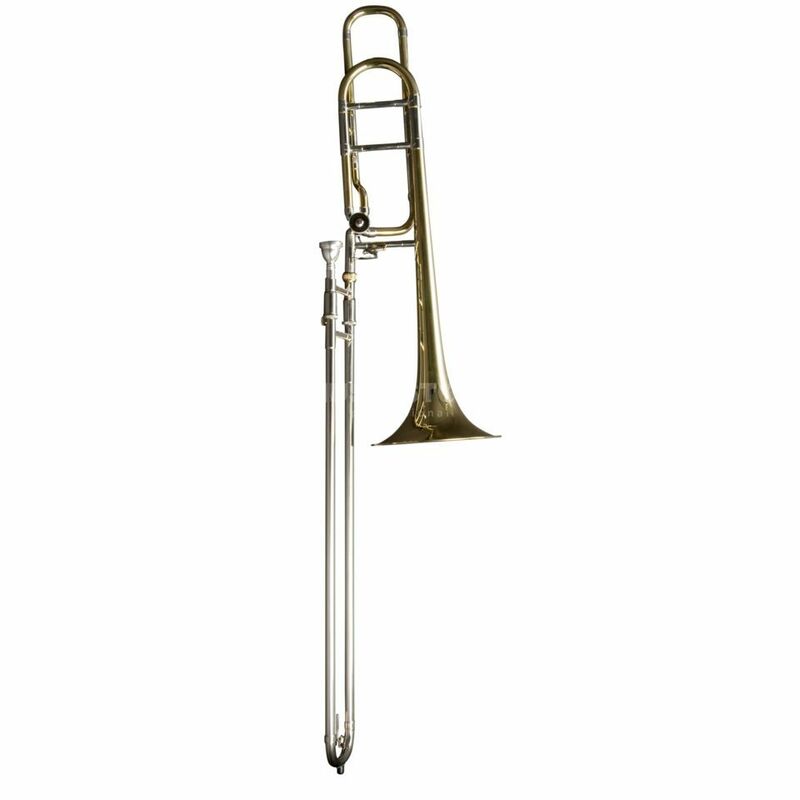 I would recommend Monzani JBSL 801L trombone to people who are keen to try to play a trombone. Trombone is very good for beginners also for non professionals. Sound is quite good, slide is also good. And what else you need in beginning . Monzani-MZSL-133Q-Bb-F-Tenor-Trombone-Quarter-Valve is very good for beginers.